I specialize in convenience store design and consulting. Jim began his career in food service design in the late 1960’s. Up until the mid 1980’s he had worked as a Food Service Consultant for companies such as Leitner /Nationwide Equipment (Franklin Park, IL. ), Institutional Equipment (Elmhurst, IL), Canteen Corporation (Chicago IL. ), Food Service Concepts (Des Plaines, IL), and Plan Corporation (Lombard , IL). 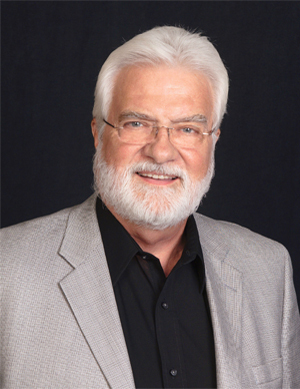 In 1985, Jim began work with Professional Equipment Services, a Pharmacy, Foodservice and C-Store design firm. In 1990, he acquired the company and served as its President and CEO for twenty-three years. He developed a leading edge prototype store design for client Gas City, LTD (Frankfort, IL) which enabled them to significantly cut costs and build stores from ground breaking to grand opening in about ninety days. Since then Jim’s clients have included some of the biggest names in the C-store industry as well as independently owned stores and chains such as Gas N Wash, Food N Fuel, Maverick C-Stores, Gas City, Fuller’s Car Wash and Roadrunner Pantry. Most recently, Jim Sr serves as Principal C-Store Design Consultant at PES Design Group and manages the company’s Chicago office. • Associate Member of the American Institute of Architects (AIA) since 1998. • Full Gospel Fellowship of Churches and Ministers International since 1993.